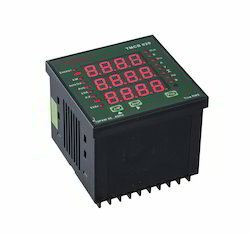 Available Ratings: 1.5KW to 24KW @ 415VAC/440VAC, 3 phase. Size: As per the Thyristor selection table given Model Wise Descriptions. 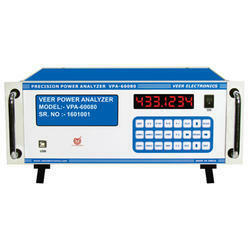 Leveraging on our extensive market knowledge, we are providing a high quality range of Three Phase Energy Analyzer. Digital noise filtering, direct measure up to 400amp’s. Quality Analyser is a powerful tool for QA department where all calibration, R&R, FMEA, Control plan, i.e. all SPC and MSA can be using the Quality Assurance. Quality Assurance is strongly linked with Workstation hence no data duplication is possible. This is a powerful package inline with customer or ISO/ISO TS audits. - Voltage & Current are the True RMS value. - True Power ( KW-MW-GW ) measurement. - Analysis for 3 phase multi-power system, 1P/2W, 1P/3W 3P/3W, 3P/4W. - 3 current probes ( CP-1201 ) are included, if change the current probes, the calibration procedures are not necessary. - True Power ( KW MW GW ) measurement.